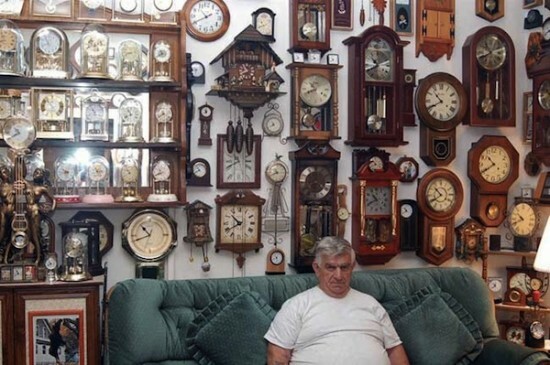 With over 1,500 different clocks covering every wall in his house, Jack Schoff holds the Guinness Record for the largest collection of clocks. Unlike most other quirky collectors, Jack hasn’t always been fascinated by clocks. In fact, he only began collecting them seven or eight years ago, when health issues forced the former Portsmouth Naval Shipyard pipefitter to take some time off. With so much time on his hands, sitting idly at home, there was only one way to go – clocks. “I was going stir crazy, so I started taking clocks apart and putting them back together, you know, just for something to keep busy,” he says. He and a friend would drive throughout the Seacoast region, from one yard sale to another, buying all kinds of clocks. Then, people started hearing about his crazy hobby and began leaving old or broken clocks on his doorstep, so he doesn’t even know where some of the items in his collection came from. 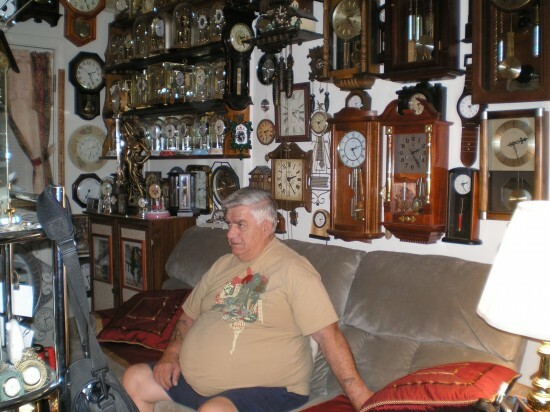 He never knew a bunch of old clocks had world record potential until his then 10-year-old granddaughter brought him the Guinness Book, in 2007. She showed him that the current record was 921 clocks, set by a fellow from Germany, and told him he was going to win the world record. Mr. Schoff had around 900 clocks at that point, but by the summer of 2008 he had set a new record with a collection of 1,094 different clocks. 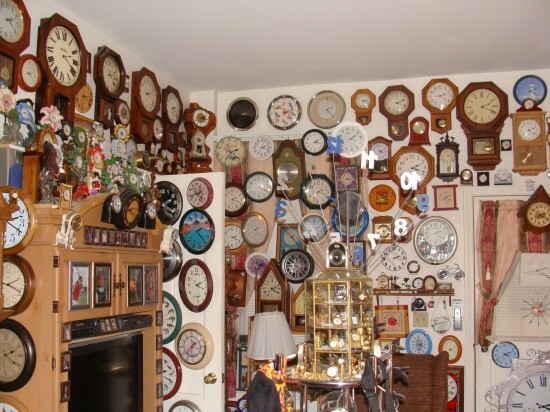 Fast forward to present day, Jack Schoff has an impressive collection of over 1,500 clocks (1,509 in February 2010), and his small apartment has become a virtual tourist attraction visited by people from all around the country. 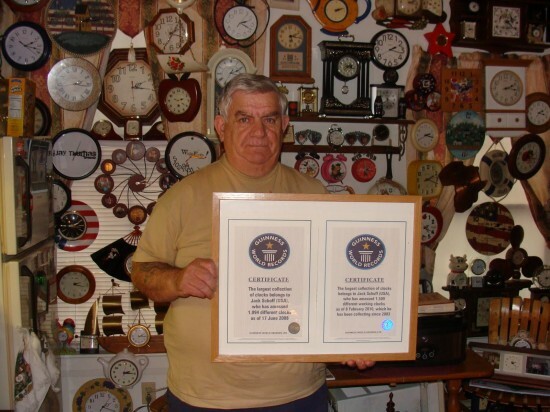 When his collection was first certified by Guinness, the 66-year-old said he had enough and that he won’t be adding any more items to his clock collection, but in 2010 he received a second certificate of acknowledgement for his 1,509 different clocks. I guess this sort of crazy passion doesn’t just go away… In fact, he says he would throw them all away, but he just doesn’t know where to start. Sounds like a clear case of severe collectitis (I made that up) to me. Until he decides what to do with his amazing collection, Jack Schoff spends a lot of his income on batteries alone, and a lot of his time repairing the clocks lagging behind. In case you were wondering how long it takes him to adjust the entire bunch for daylight savings time, the answer is between three weeks and a month. But it’s all worth it come noon, when all hell breaks loose as the clocks start making all kinds of noises.